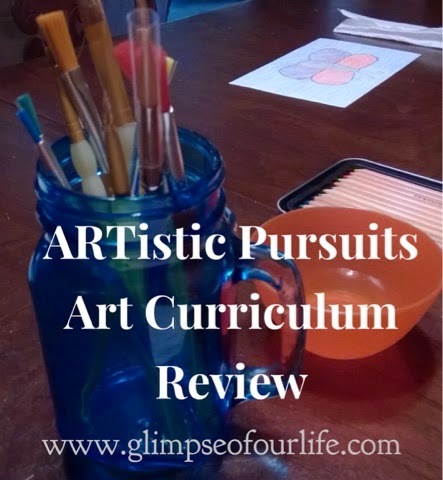 Over the past seven years, ARTistic Pursuits by Brenda Ellis has become one of our favorite art curriculum resources. We now have all of the elementary, middle school, and high school books and one of the sculpture books. 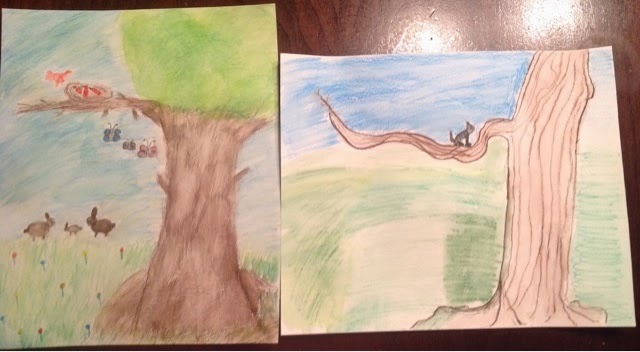 For this review, we explored watercolors with Elementary 4-5, Book 2: Color and Composition. Though written for 4th and 5th graders, my high school daughters and I also worked through these art instruction lessons with my 5th grade son. Before the book (pictured below) arrived, I ordered required supplies that were conveniently listed on the website including watercolor pencils, paint, brushes, eraser, metal pencil sharpener, sketch pad, and watercolor paper. The spiral bound 92 page Color and Composition book is non-consumable. Each of the sixteen units are split into four lessons and recommended to be completed over two weeks, approximately two hours per week. We fit the reading, history, artist studies, and technique explanations into our road schooling component of our current crazy schedule, reading the lessons together in the van, then we sat together around the table for the hands-on parts. These books are written directly to the students to complete independently. I joined in for the fun of it. Lessons each include observations of techniques, a "visual vocabulary"; art appreciation and art history; techniques, and application. Full color reproductions are included on the appreciation/history pages with examples that relate to each unit's techniques. In addition to the pictures, biographies of the artists and brief historical accounts from the time period are shared. As new techniques are introduced, care of equipment is also shared in the lessons such as how to clean and store a paintbrush. 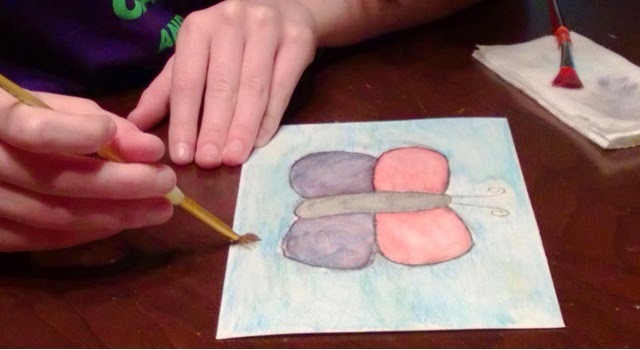 My daughter completed this butterfly the first day we worked on techniques from this book. 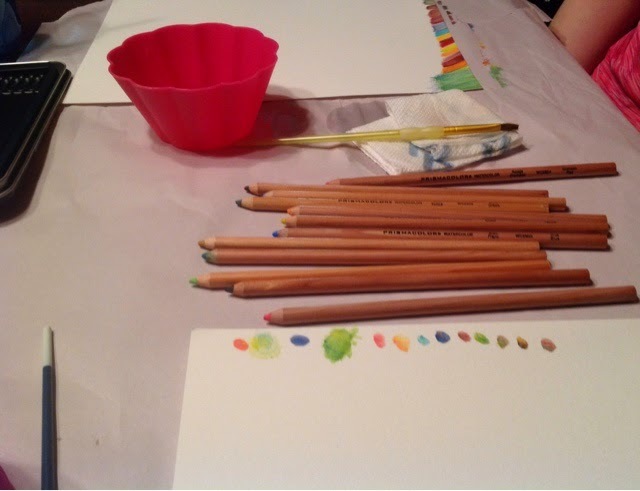 Tips are shared explaining how to paint with water for a painted look after drawing with watercolor pencils. 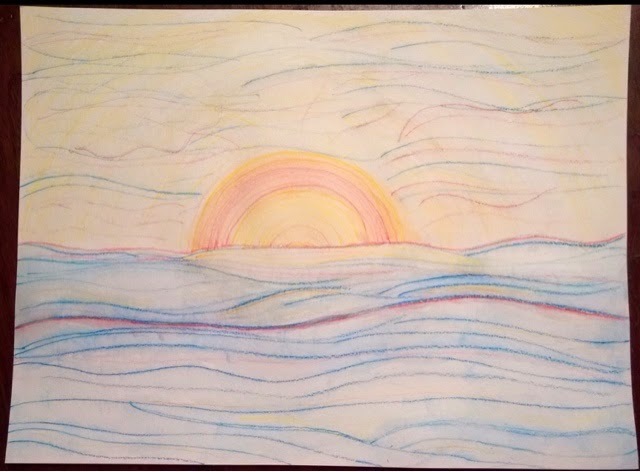 The strips in these pictures illustrate secondary and intermediate colors made by combining the original colors in the watercolor pencil set and then mixing them with water. After drawing, using the techniques with paintbrushes adds another dimension to the pictures. A soft touch with the paintbrush can soften lines and add depth to the pictures. 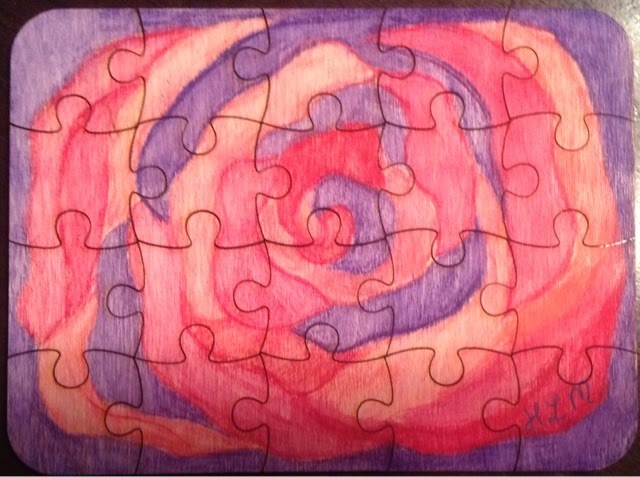 My oldest daughter used some of the techniques she learned with watercolor pencils to design this wooden puzzle. I've previewed future lessons in this book and am looking forward to watching my childrens' artistic talents develop. Drawing human features and more complex shapes are taught and beautifully illustrated. 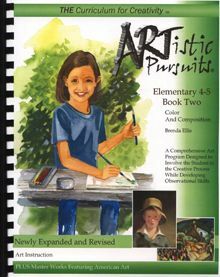 Each of our ARTistic Pursuit books have become valued resources on our homeschool shelves, and I know this one will, too. Members of the crew received different levels of this course. Click below to read about others. Oooh! Now I want to try out watercolor pencils! I love these books. How awesome that you have so many of them! 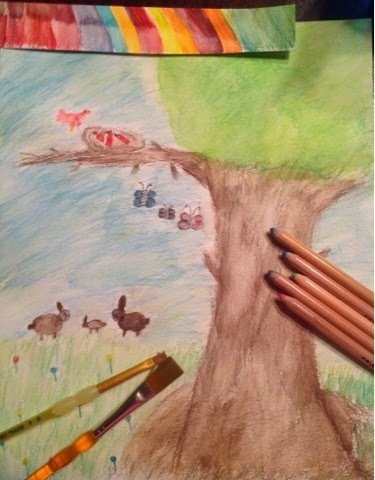 The watercolor pencils are now my favorite art medium. We purchased several of these after our first review.